We’ve recently published some self-orchestrated training for end users of Office 365. You can download them here. Yammer is a private social network that gets you connected to the right people, share information across teams, and organize around groups. What’s more, using the Yammer network helps build a body of knowledge that’s instantly accessible by any coworker at any time and from any device. 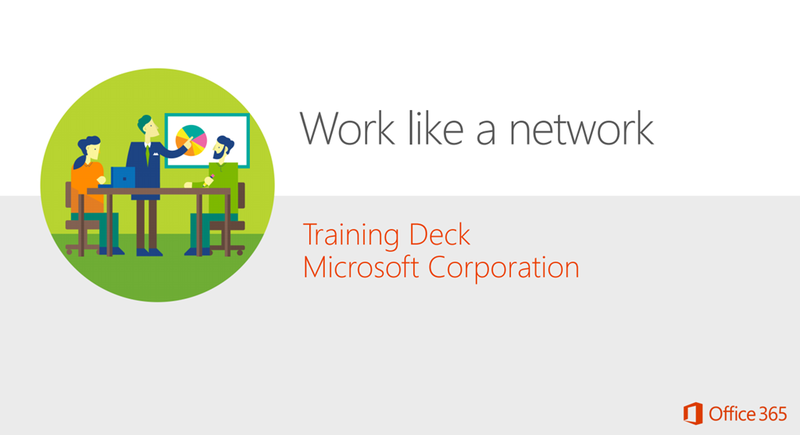 The Work like a network training deck introduces you to Yammer and shows you how you use Yammer to extend your social network. PC, Mac, tablet, phone? At the office, at home, or on the road. 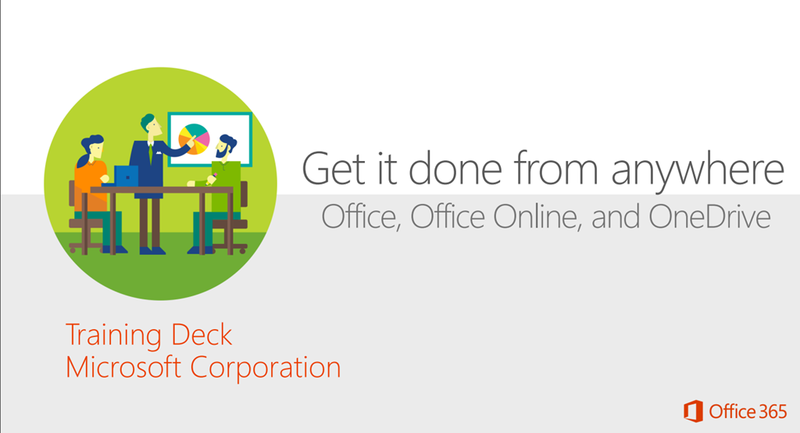 With Office 365, your settings and documents are always available – ready to pick up right where you left off. No matter where you are or what device you’re using. With Office 365, you can: • Create documents using your familiar Office Apps • Save your documents to the cloud using One Drive for Business, so the docs are available from anywhere • Access the docs from anywhere, with almost any device, laptop, tablet, or phone, PC, Mac, or Android.